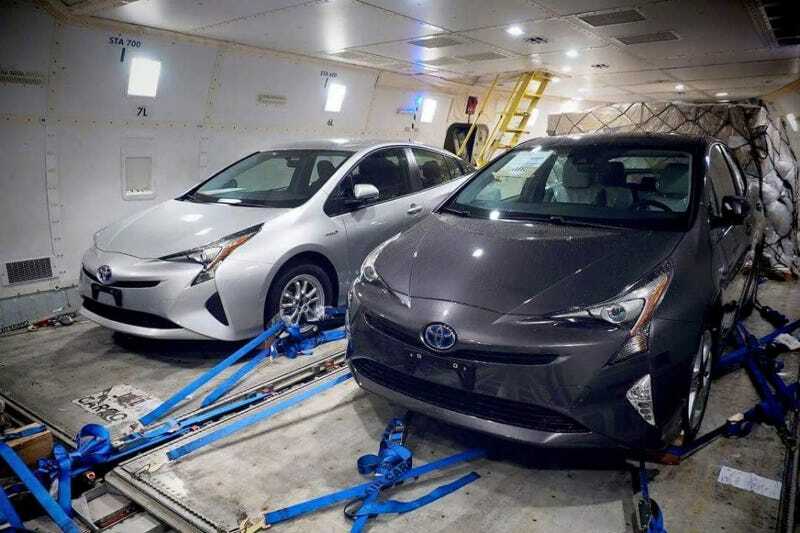 I don’t actually have the words for how offensively unpleasant the aesthetics of the new Toyota Prius would appear to be, so I’m just going to throw up these photos from Carscoops and let you try to find some words of your own. Taking merciless levels of inspiration from the Mirai hydrogen car, it will sport an updated version of the old powertrain, with a 10% boost in fuel efficiency and an electric-only range longer than the current 11 miles. There is no further info at this point. The shape of it’s one thing, probably chasing a low drag Cd, but the styling itself is inexcusably bad. This is a problem in places where the model is ubiquitous, because you’ll be forever cursed with seeing one on your way to/from work/buying bleach.